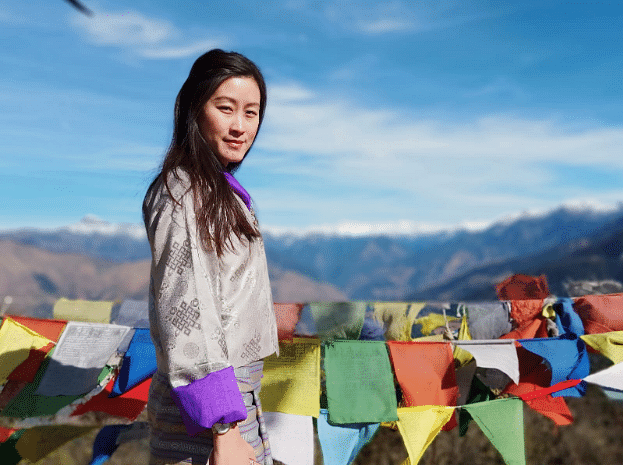 The author Karen Lim has been working in Bhutan since April last year. Happiness is not a laughing matter, at least not in Bhutan. Happiness is serious business for them over there. So serious, that they’ve even established a Gross National Happiness (GNH) Commission, which ensures that everything the country does contributes to the overall well-being and happiness of its people. The pursuit of GNH is also enshrined in the country’s Constitution and when you ask a Bhutanese if they are really happy, most would say yes. Having lived and worked in Bhutan for almost a year now, what I’ve learnt about happiness is that it is not an end goal. It is the journey and mindful pursuit of happiness that leads to fulfillment in one’s life, and contributes to a peace of mind. Analytics and advisory company Gallup ranked the Kingdom as 97th in its 2018 World Happiness Report. The happiest countries in the world, according to the report, happened to be some of the richest ones too, such as Finland, Norway, and Denmark. But a wealthy nation is not the ultimate pursuit of Bhutan. 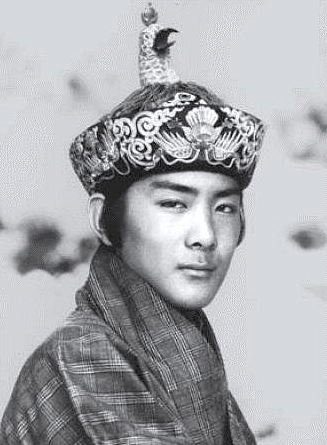 In the 70s, the Fourth King of Bhutan, His Majesty Jigme Singye Wangchuck, famously said that “Gross National Happiness is more important than Gross Domestic Product”. And with that, the Bhutanese started pursuing this national goal. 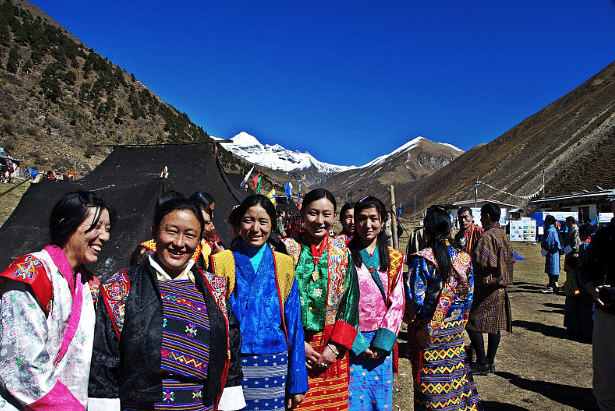 Bhutan is careful in the steps they take to development. Decisions and policies must adhere to GNH guidelines of cultural preservation, protection of the environment, good governance and sustainable socio-economic development. Studies have shown that money does not make one happy. Here, the average monthly salary of an employee in the government sector ranges from 20,000Nu to 30,000Nu (S$400 to S$600). After deducting financial commitments such as rent and so on, there’s barely enough left to save. Yet the Bhutanese trudge on, content and grateful for everything that they have. Perhaps it is also due to the Buddhist mindset of living in the present that the Bhutanese live their life one day at a time - despite the lack of financial security - and with a lot of gratitude too, gratitude for their Kings, their work, the beauty of their country, their family and their community. In Bhutan, there are many small businesses that have been set up to empower or assist the marginalised. These enterprises have found a middle path to doing business: Rather than falling to the two extremes of purely profit driven businesses and Non- Governmental Organisations (NGOs), local businesses have sought the path of setting up social enterprises, giving back to society and the environment. These companies are contributing to many areas, from waste management, to rural development, and to empowering women. 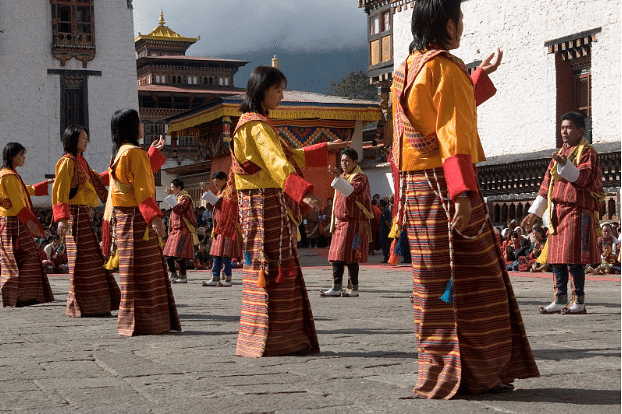 These initiatives show that the Bhutanese are not intent on making a profit, but rather to help their fellow citizens. An example is Nazhoen Pelri Eco-Friendly Initiative, Bhutan’s first waste paper recycling unit that produces on average 20,000 egg trays per week from waste materials and employs recovering drug dependent youth to reintegrate them into society. Another is MAD Bhutan, a Singapore-based tour operator that channels its profits to benefit the rural school children in Bhutan. Happiness isn’t about having a profitable business, it is also about giving back, and most importantly, running a business with a heart and a conscience. The population in Bhutan is small. At about 735,000 people, the entire country is the combination of three mature estates in Singapore. What this translates to is a tight-knit community where everyone knows one another. Someone is always somebody’s cousin, in-law, relative or work associate. A small community helps to foster kinship and harmony unlike populations that live in large, globalised cities. 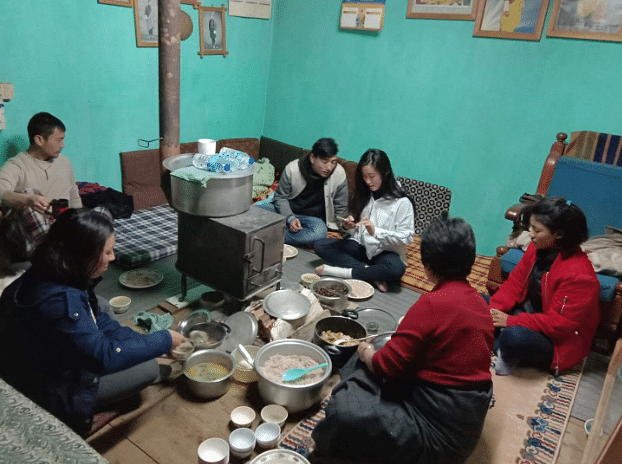 A lot of time here is spent on kindling those relationships, and cousins are usually hanging around with one another, over a beer or a cup of buttered tea huddled around the bhukhari (local wood-fire stove used as a heater), or playing sports such as archery, darts and football. Neighbours all know one another and stop to chat in the middle of the road, relatives are always at your disposal when you need them to help with family rituals, and if you need help in procuring a nice silk kira (traditional costume for women), there’s always someone who knows a weaver somewhere. To get something done here, the Bhutanese normally just pick up their phone and make a call. With a close community like this, help is always there when you need it. Speaking from experience, this is probably the most effective way to get things done here. 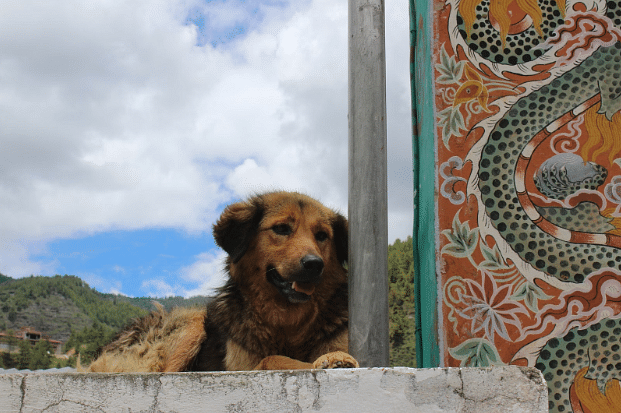 Compassion is an integral trait of the Bhutanese and you can witness it in the way they treat animals, specifically the multitude of stray dogs here. Stray dogs roam the streets in droves - along the roads, napping at your doorstep and even entering shops at times - but you’ll rarely see a Bhutanese chasing a dog away or hitting them. They have become such an essential part of the daily lives of people living here that some locals feed the dogs on a regular basis. The Bhutanese love to do picnics and any leftovers are always given to the dogs. I’ve been told before that “it’s better to feed the dogs than to waste the food”. Now that’s good food waste management. Compassion is also seen in their collective support and words of encouragement that you can see on social media, during times when tragedy strikes or when someone is in need. The outpour of solidarity and compassion that I have seen is always encouraging and inspiring. I have also personally witnessed elderly beggars entering the office seeking alms, and they are never chased away. Instead everyone reaches out for their wallets to give some money to the elderly. Compassion is also exemplified in Bhutan’s prime minister Dr Lotay Tshering, who is a trained urologist surgeon and treats patients for free, often working after hours and on weekends to tend to the sick. As a Buddhist nation, it is clear that in Bhutan, the cultivation of compassion for all beings is the goal for a life well lived and for society to flourish. And when that happens, it translates to happiness. It’s no secret that being close to nature instills a sense of contentment and happiness to many. This is why for us urbanites, a trip to somewhere with beautiful surroundings is always a great way to reset from our city lives. Bhutan is mostly made up of forests and mountains that roll on forever, with dense growth of pine trees that look like broccoli. 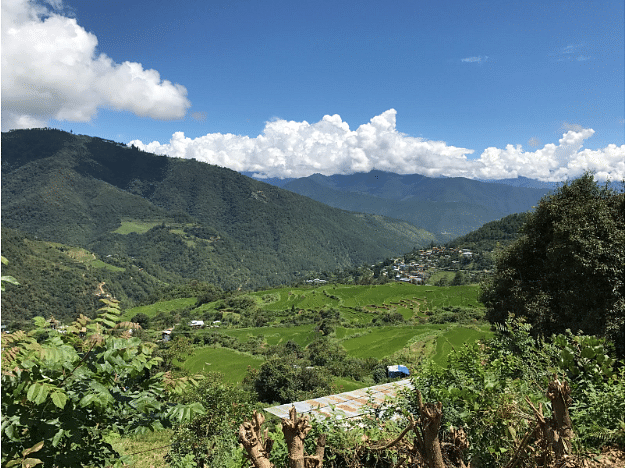 Conserving and protecting the environment is so important to the Bhutanese that it is mandated in the Constitution that at least 60 per cent of Bhutan must be covered by forests for all time. This has resulted in the Kingdom being the only carbon negative country in the world, absorbing more of the world’s carbon dioxide than it produces. 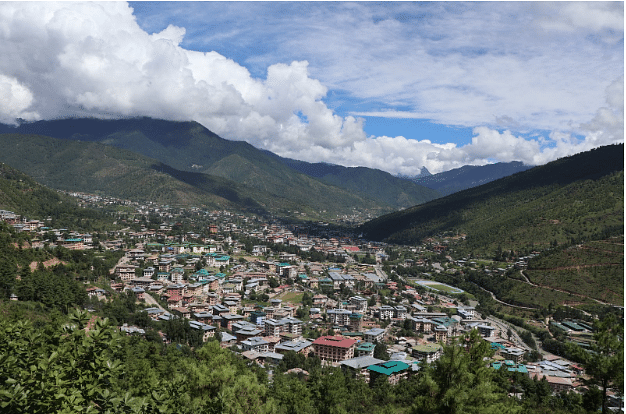 Bhutan may be small in size, but big on ideas, and when we live in an age where the world’s most powerful countries are slow to take action against climate change, Bhutan’s foresightedness sets it apart from most countries. As an agricultural society, the Bhutanese rely heavily on their land and nature. Their connection with the environment and animals is important, and when that is destroyed, their livelihoods become affected and happiness then becomes a farfetched idea when you’re struggling to grow produce in your fields. Humans have an inherent desire to have a sense of belonging, whether it is in social groups, among friends, or even in a country, sharing the same connection makes people feel secure and happy. A strong cultural identity helps to promote belonging and gives a group of people a place they can call home. Every Bhutanese is proud of how far they have come. They adore their Kings, they guard their culture and traditions jealously, and they’re proud about the fact that they have never been colonised by external powers. Their cultural identity is visible in the traditional costumes that they wear every day to work, school, temples and festivals. Even the designs of buildings must adhere to strict cultural guidelines, incorporating traditional Bhutanese elements on the facade. These are just part of a set of protocols or code of conduct (driglam namzha), that determines how cultural values, practices and traditions are maintained and not lost in an increasingly modernising Bhutan. This sense of belonging allows the people to feel safe in their home country, and with that comes motivation, health and happiness. This is why cultural preservation is one of the main pillars in GNH. One of the most important lessons I learnt about living in Bhutan is how to lead a simple life, one that is far from the excesses of delicious food, the ease and convenience of a well-connected transport system, and access to water each time I turn on the tap. A simple life here means coming home daily after work with no distractions like midnight movies, drinks at a rooftop bar or over-the-top launch events. A simple life means not going out for sushi dinners or window shopping. It also means having a similar cuisine almost daily, due to the limited variety of vegetables and ingredients here. Dining out is a rarity and a luxury. Walking is the primary mode of transportation for someone like me who doesn’t own a car here. Sometimes, a taxi ride is needed and unavoidable, but my daily commute is usually done with my two legs. Water supply can sometimes be unreliable and during occasions where there are water issues, we all tend to say a little prayer in that one second when we turn the tap on. Sometimes the water is muddy too. Keeping reserve water in buckets at home is par for the course for everyone here. But all these “inconveniences” doesn’t stop many living here from being happy. Yes, there may be days where you can’t wash properly, or days where you may crave for a nice dinner at a restaurant, but one thing I’ve learned is that the simpler your life is, the less you desire. The lack of complexities in life makes one much more appreciative for the little things you have. In fact, I wake up appreciating what I have and I don’t know what else I need more to make me happy, because whatever I have today, I am contented and grateful for. And I am happy. There are many situations one might face here where you will have no control over, such as issues with water supply or electricity. When a dry spell hits, you don’t go all uncontrollably mad. Most of us just sigh and start boiling the water from our buckets. There have been umpteenth times when my colleagues’ vehicles were blocked by construction trucks just as they were about to head to the office. They don’t go yelling at the drivers. Instead, they just sit in their cars and wait it out. The attitude of the Bhutanese to situations they have no control over isn’t about raging at others till they get their way. Instead, I’ve been told by a Bhutanese that most of them just remark “what to do?” and move on. Perhaps this truly is the key to their happiness. To not get stressed over small things in life and to take things easy. Sometimes there really is no reason to get worked up over everything. The Bhutanese are known to be rather humorous. Although a little crass at times, their jokes show how simple, carefree and easygoing they really are. Even in professional settings such as the workplace, people are cracking small jokes or giggling because they’re amused by another colleague’s mannerisms. They laugh at the smallest things. And from a place where we have forgotten to laugh at the simplest, sometimes lamest jokes, I oftentimes don’t get why they get so tickled by something so apparent or so meaningless. But I’ve learned that this is how they learn to take things easy and that is by laughing at everything. And sometimes including themselves. Life shouldn’t be so serious and we should all learn to laugh a little, even if it’s over something silly. Is happiness the only thing that’s important? Happiness in Bhutan is beyond just trying to attain that single goal. It is a collection of cultural identity, belonging, a close community, compassion, caring for the environment, cultivation of patience and simply put, just taking things easy. Is happiness the only thing we should be pursuing in life? No. There are many important life lessons beyond happiness. But it is the journey to happiness and the lessons we learn along the way that matters - not happiness itself.